Enjoy fewer crowds and lower prices while you explore the parks in the fall! Stay in a luxurious hotel room and spend your days on a Yellowstone tour, hiking followed by a soak in nearby hot springs, biking through the changing leaves, and taking a sunrise or sunset wildlife tour in Grand Teton National Park. 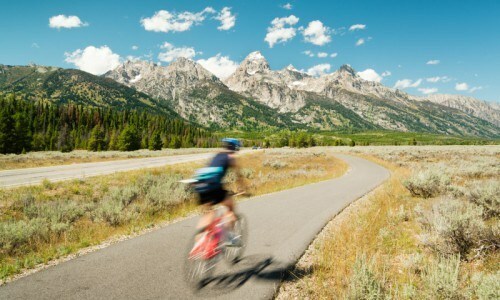 Explore Jackson Hole, as well as Grand Teton and Yellowstone National Parks in this 5 night package. Fall is a great time to visit the area - with fewer people, lower lodging rates, and active wildlife. 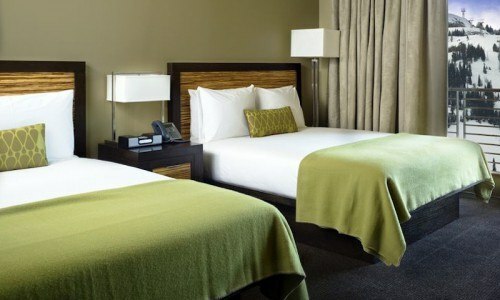 Check in to your luxury hotel room in Teton Village for 5 nights. Dive in deep and spend your first day on a full day tour of Yellowstone National Park. 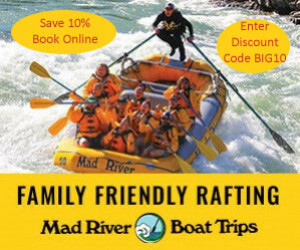 The tour will be catered to your group's desires and you'll see many unique thermal features, wildlife, and stunning rivers, all while learning about the area. After a day of touring it will be time to get active. Go mountain biking for four hours. You'll have the option of either a scenic path (great for families) or a challenging but fun dirt trail. 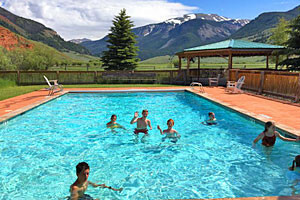 Head south of Jackson the following day to a local's favorite, Granite Hot Springs. 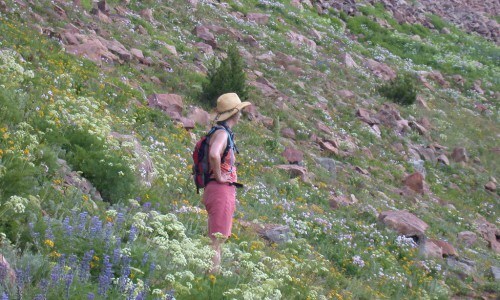 Start off with a beautiful hike up Granite Canyon and return to soak in the hot springs and enjoy lunch. Finally, spend either sunrise or sunset in Grand Teton National Park with professional guides that can somehow sense where wildlife is hiding. With a few full and half day adventures, this package offers ample time to explore Jackson's Town Square or just kick up your feet and relax. Our Jackson Hole and Yellowstone Area packages are easy to customize! Hotel amenities include an outdoor roof top heated pool and hot tub, fitness facilities, roof top hot tub, ski valet, on site restaurant, room service, and full service spa. Discover the world's first national park with Eco-Tour Adventures. 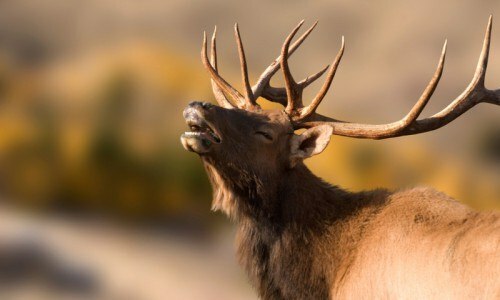 We'll explore off the beaten path to truly discover the the geological wonders and the multitude of wildlife that Yellowstone National Park has to offer. Our experienced guides will take you to wildlife hotspots. 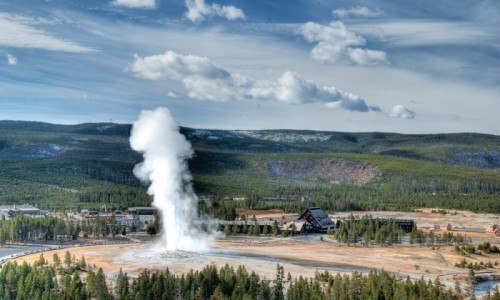 You'll visit Old Faithful and some of the other 10,000 thermal features of the park. Depending on the group's interests we will take short hikes on easy terrain and boardwalks. It is our mission to connect you to this breathtaking area and to leave a lasting impression on you and your family. We will depart from the town of Jackson around sunrise to take advantage of the early morning light, and to observe the animals during one of their more active times of the day. We'll have many things to see as we travel north through Yellowstone. A tasty lunch, at either the historic Old Faithful Inn or Canyon Lodge, is included. Biking is a great way to spend the morning or afternoon. Enjoy unforgettable scenery and the opportunity to see wildlife, all while breathing in the fresh mountain air. We offer a couple options for half day bike tours. We can enjoy a scenic cruise along a paved pathway (great for families) or discover the area's epic single track (for intermediate riders). Kids 8 and older can ride their own bike and we offer pull-behind child trailers so that even your younger children can participate! Spend a day with a naturalist guide experiencing a fun hike, lunch, and a relaxing soak in a natural hot spring. You will hike for several miles along Granite Creek with its beaver ponds, cascading water, mountain views and natural hot springs. After the hike, you will soak in the hot pool and have a tasty lunch. Tour departs at 8 AM. Let the wildlife experts at BrushBuck Guide Services guide you through Grand Teton Park and show you our wildlife viewing hotspots. Wildlife sightings may include grizzly and black bear, eagles, elk, bison, wolves, pronghorn and moose. This tour is also filled with history, park landmarks, and world-famous scenery. * Price is per person, based on double occupancy. Price displayed based on travel after 9/27, before 9/27 price is $1688/person.